This January I am "living" the playful parenting approach that Julia Deering introduces in her book, The Playful Parent as part of the Harper Collins 31 days of inspiration. Harper Collins have brought together a selection of 31 of their most inspiring well-being publications. With tips and tricks on happiness, professional development, learning languages, diets, parenting, health and general well-being, you can find out more about the #31Days2015 campaign and sign up for regular emails or follow them on twitter or tumblr. 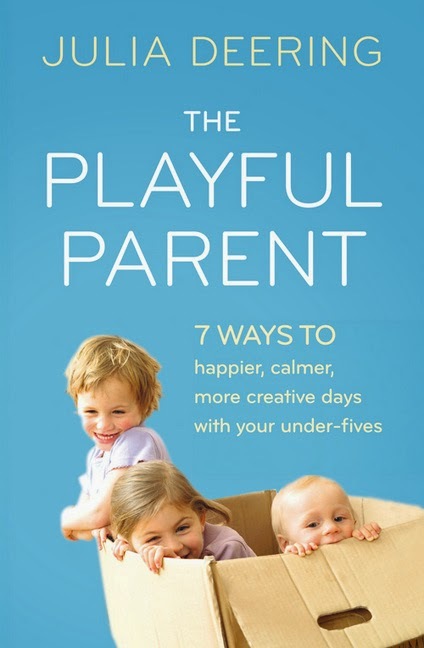 They Playful Parent, by Julia Deering claims that it can teach me 7 ways to happier, calmer, more creative days with my toddler. Regular readers will know that with my second child, Holly, I have struggled to maintain my "mellow" mummy status and that, on very many occasions, I find Holly's behavior to push the very limit of my mellowness. This book sounded like the secret to smoothing out our relationship and harnessing the fun, playful side of Holly rather than the wild, uncontrollable side. The Playful Parent instantly gave me inspiration. From January 1st I applied just a couple of the ideas from the first few chapters and saw some small changes straight away. 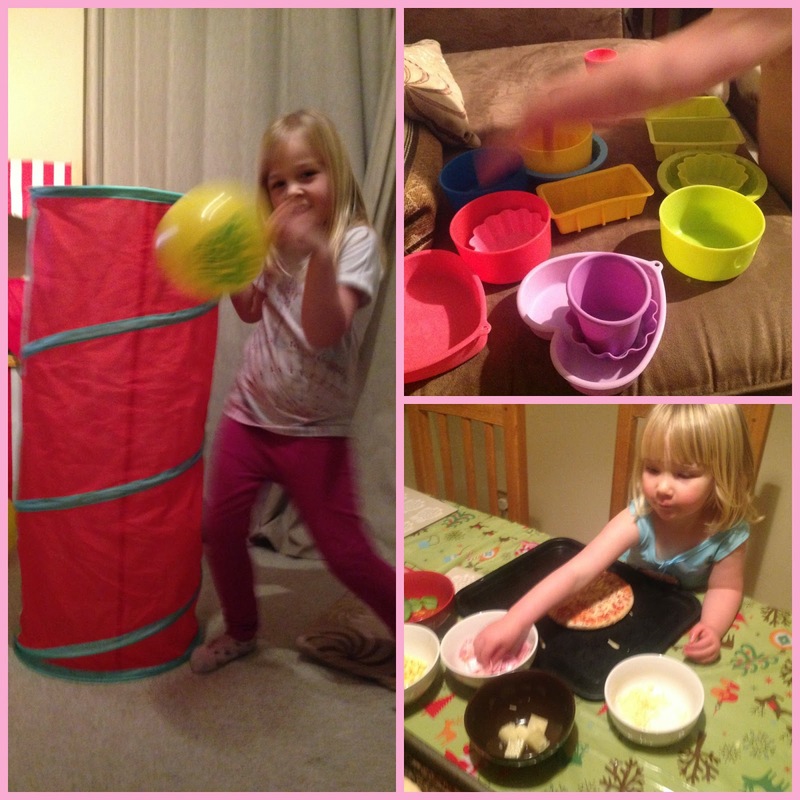 Something simple such as bringing in our pop-up lay tunnel from the garage (we considered it an outdoors toy) and bringing it into the living room provided a whole new angle of fun for the girls which was new, and exciting for them. So far, I have read chapters 1-4 and I'm feeling a new level of enthusiasm for tackling the bad behaviour in our house through a relaxed and mellow approach to parenting, which is exactly the way I'd like things to be. For me, I haven't learned anything ground-breaking because I do feel like I have already (whether consciously or sub-consciously) built a home with lots of different invitations to play and create and I do "know" lots of techniques for encouraging play... I think I just lack the discipline. One thing I've learned in the past two weeks is that using play to help build a calm and happy relationship with your toddler or pre-schooler requires a little planning. Beyond preparing places in your home or garden that can be play-spaces, you need to ensure that you have materials or ideas for play on hand. I LOVED Julia's chapter on 10-second set-ups which are play ideas that take no more than 10 seconds to get going when you need them - including picture book ideas and song ideas that accompany the play recommendations. In general, I've traditionally been against taking "distractions" for the girls out with us when we go out for dinner because I'd rather they were socialising with us than head-down in a colouring book... however, when we went out for dinner with colleagues this weekend, I went armed with two or three small play ideas (paper for folding, coloured cards for sorting and a magazine for Lara) and I will admit that it did make the whole experience feel a little bit more manageable. I've tried lots of the ideas from Julia's book already. From lifting out the contents of my baking cupboard for Holly to play with...to filling the living room full of balloons. From laying out a few tempting craft items on the dining table for when we get in from work... to letting Holly be in charge of "making" dinner (something we do a lot of anyway but normally only at the weekend). There is nothing new or different about most of these things - they are things we tend to do as a family already but I guess the difference is that I'm consciously finding the time to prepare these activities. I do feel a little less stressed when I'm better prepared with some ideas like these. This weekend I plan to put in place lots of Julia's ideas for 10-second set-ups so that, if I'm in need of a distraction when preparing the dinner, or sorting out the washing then I have a quick play idea that I can whip out of the cupboard and turn a potential boredom moment into a play moment instead. From a make-up bag full of grown-up beauty product sample bottles for pretend play, to a big carrier bag full of fabric offcuts... I'm beginning to realise that anything can be deemed an invitation to play. I just need to make sure I have some of these things prepared and ready for deployment when I need them! I'm really looking forward to seeing whether there are more clever ideas in chapter 7 - Sanity Savers. I'll be posting my progress on twitter and back here on the blog before the month is out.